So I actually picked this super fun little chair up a few weeks back while out thrifting, but just haven't gotten around to sharing. i LOVE it! 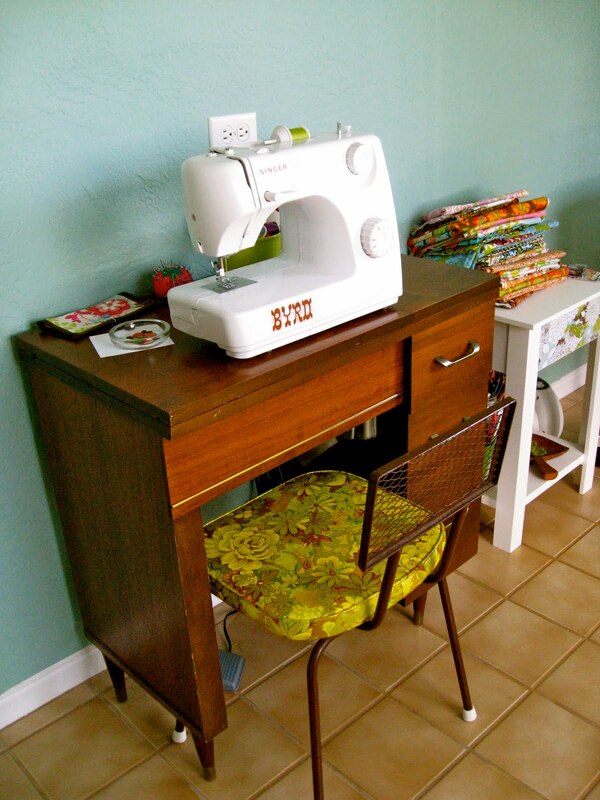 The colors are so fun, vintagey yellows and greens..
And it fits PERFECTLY with my sewing table! 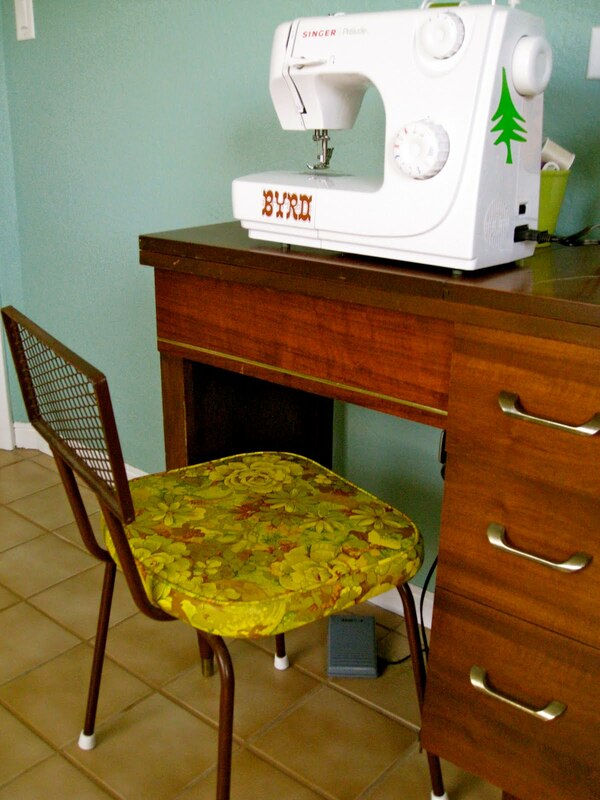 Now I just need to pencil in some QT in that little chair and get some sewing done! 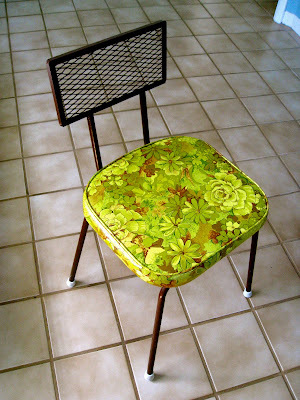 that is one adorably retro chair!! Hi...I am a huge fan of your blog and have passed on an award to you. aww, thanks you guys! i love that is actually fits with that sewing table!